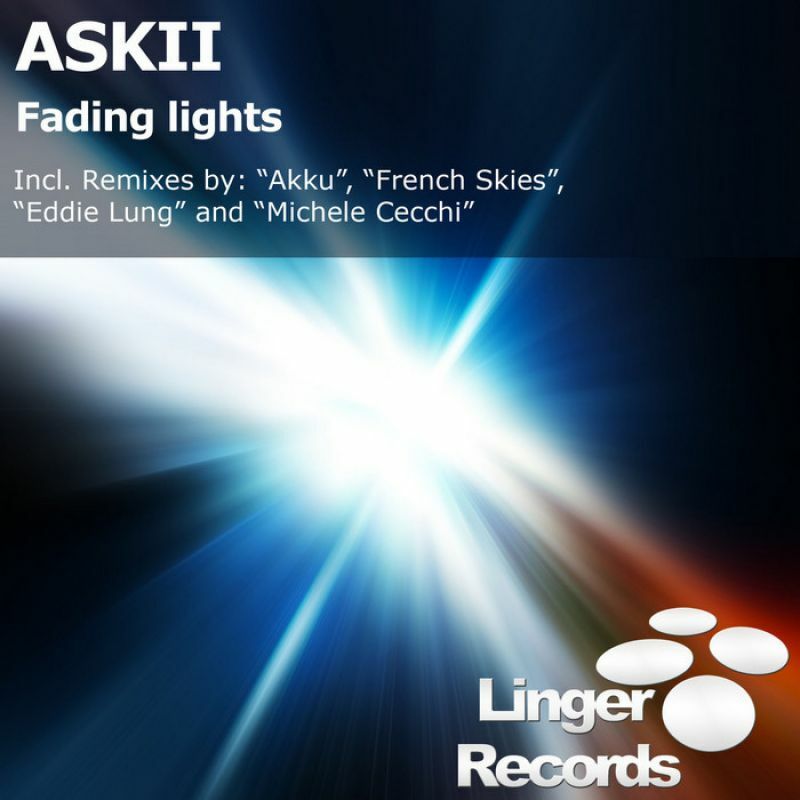 Now reach to Linger Records: "ASKII"! A major producer of the Uplifting Trance scene coming from Germany, he is capable to do amazing tunes in the highest quality and also make great Progressive Trance stuff like this tune named "Fading lights". The release is completed with 4 amazing remixes, 2 of them was brought by himself and the other 2 brought by our A&R Darren Clarke, thanks to both for the contribution! Those who do the remixes are: "Akku", one of the biggest producers from Spain in the worldwide Trance scene, and now we are pleased to present him in Linger Records for first time with an amazing Uplifting Trance remix of awesome quality. "French Skies", who worked with us previously several times and as always brings us a big work, one of his strong Uplifting Trance remixes in his habitual style. "Eddie Lung", lately another of our habitual remixes who also is capable to do amazing stuff, and again brings an awesome Uplifting Trance remix with great strength and quality. And finally "Michele Cecchi", not only one of our top artists, he is also big in the worldwide scene, brings another of his jewels as this amazing Uplifting Trance remix. So, here you have a massive pack of amazing tracks, all them of big quality, and therefore 100%% recommendable. You can't miss this full release!